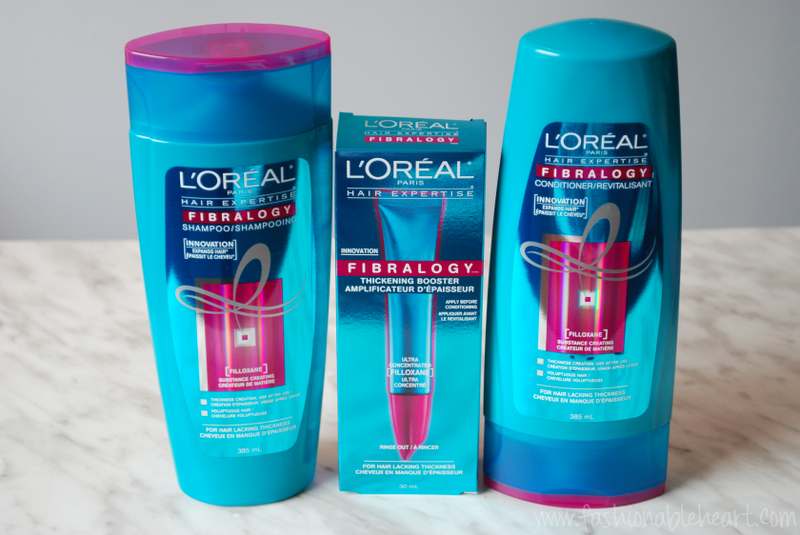 Influenster's latest Canadian box involved Fibralogy, L'Oreal's latest haircare line. 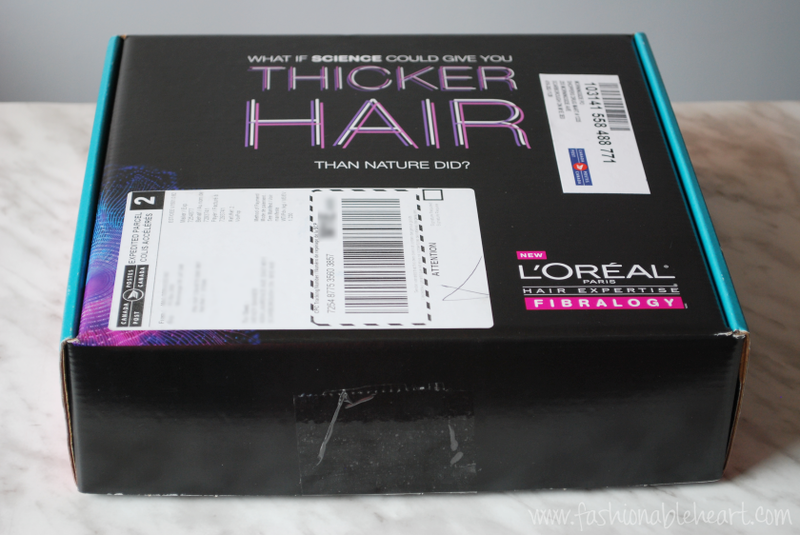 I've used L'Oreal hair products many times in the past, so I could not wait to try this. 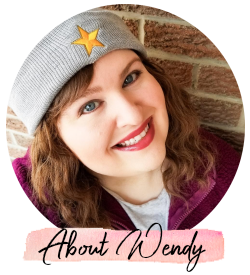 My hair is very thin and I'm always looking for new thickening products. 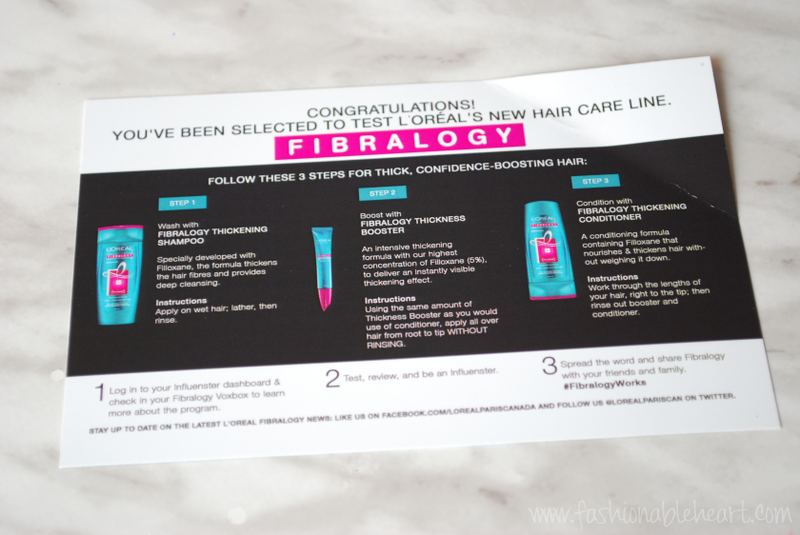 Here are my thoughts on Fibralogy! The steps are different from your usual routine. Shampoo first, rinse, add booster serum and leave on the hair, and then condition and rinse. The booster works with the conditioner. 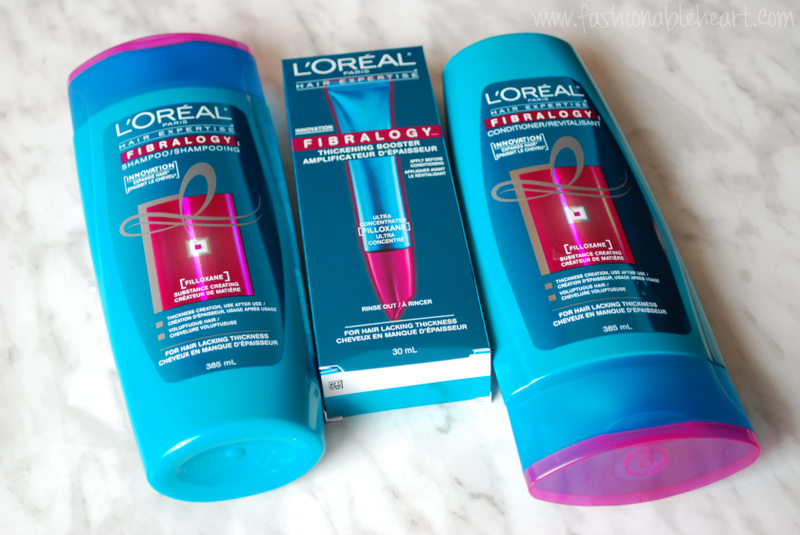 Upon first glances, I love the bright colors and how the shampoo and conditioner stand differently. I like the scent, but I didn't find it as strong on the hair nor did it last that long for me. As a separate entity, I like the shampoo. I don't think my problem is with it. My problem is with the booster and the conditioner and perhaps I am in the minority, but they did nothing for me except make my hair feel oily. I did not notice a boost in thickness. I thought maybe it was the amount I was using, that maybe I used too much of the Booster. I experienced it each time, though. Sadly, these just did not work for me. 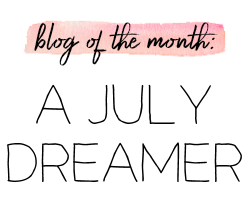 Just because it did not work on my hair doesn't mean it may not work on yours, as with any product. I have been reading rave reviews from people who love it and I do wish I was one of them! Luckily, my husband has fantastic hair that everything works on (soooo not fair) and he can put these to good use.